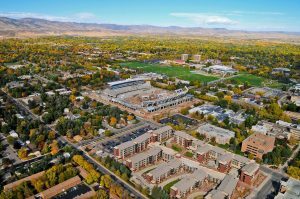 Founded in 1870 as the Colorado Agricultural College, Colorado State University is now among the nation’s leading research universities. Its world-class research in infectious disease, atmospheric science, clean energy technologies, environmental science, and biomedical technology attracted more than $300 million in research funding annually. 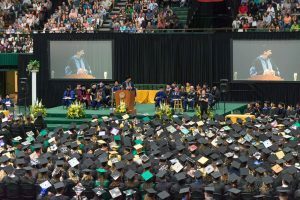 Colorado State University’s professional programs in veterinary medicine, occupational therapy, journalism, agriculture and construction management are ranked among the nation’s best. 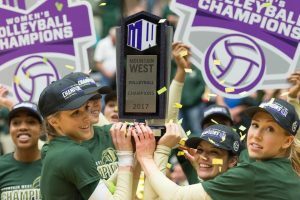 Colorado State’s rankings include its recognition as a top tier university in U.S. News and World Report’s rankings of “America’s Best Colleges and Universities”. 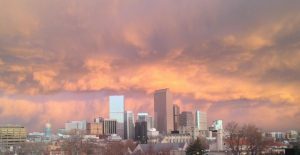 Colorado State is the “university of choice”​ for Colorado residents. CSU faculty, who are among the best in their fields, provide an enriching and rewarding student learning experience. The approach combines intellectual classroom pursuits with hands-on experience in the field and laboratory. CSU educates students both to make a living and to make a difference — and our faculty transform the world through their research, scholarship, and teaching. Colorado State University offers both pathway and direct entry programs. Pathway programs are designed for students who meet the academic requirements for the program but do not meet the required English language proficiency scores. In this case, the student will study English in combination with their academic program. If the student meets both the program’s academic and English language proficiency requirements for direct admission, apply to the direct entry program. Pathway and Direct entry programs can be found in popular Bachelor Degree programs such as Animal Sciences, Business Administration (majors in Accounting, Finance, Human Resource Management, Information Systems, Marketing, Supply Chain Management), Economics, Engineering (Civil, Computer, Electrical,Mechanical), Construction Management, Early Childhood, Hospitality, Nutrition and Food Science, Social Work, Anthropology, Art, Dance, Music, Theatre, Computer Science, Psychology, Biochemistry (Pre-Pharmacy) and Biomedical Sciences. They can also be found in Master programs such as MBA, Finance, Engineering, Education, and Occupational Therapy. For more information about Colorado State University, please click here. Alternatively, you email call us at +65 63521121 or email us at info@gstudyabroad.com.